While preparations for the actual Brexit are underway, saying that the UK’s economy is unstable and highly volatile is such an understatement. As the fifth largest economy in the world, the financial problems they are facing may also have a big impact on the world at large. While local economists are worried about the implications of Brexit to the country, there is a group of economists spreading stories that the UK actually has everything to gain from this separation as the nation becomes more accessible to international trade. However, economists claim that while the UK may become more competitive globally post-Brexit, the odds are high considering that the nation does not have a strong economic framework in place to help them navigate this new and untested water of their independence. According to leading financial authorities, the economy of the United Kingdom is in dire shape. If UBS is correct, then economic stagnation faces the United Kingdom in coming months. Volatility aside, the economic modelling process used by Swiss bank UBS indicates that UK growth has slowed down dramatically in 2017, and trends point to a continuation of this pattern. Post-Brexit, the PMI indicated a sharp decline in June 2016. Since then, the Purchasing Managers Indices gained sharply. There are two types of economic data that analysts can use to evaluate the performance of the economy: hard data with quantifiable facts, and soft data with sentiment. 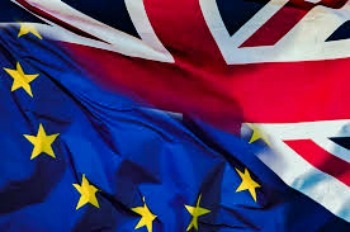 There are more to Brexit than meets the eye and perhaps everyone in the UK and in the neighboring European nations can only grasp everything there is to know once the separation is completed. For starters, entry and exit to both places will be far more taxing for citizens unlike now where everyone is free to come and go at will. Deportations may be common too and restrictions will likely be applied to all regarding study, work, and living arrangements. It is a big inconvenience to everyone and many are worried as to what the future holds since the looming Brexit will likely be inevitable to happen. In closely watched surveys of economic activity, financial information company IHS Markit said Tuesday that the economy of the 19 EU countries that use the euro is heading for decade-high growth rates while the UK’s is increasingly sluggish largely due to uncertainty surrounding Brexit. The purchasing managers’ index, a broad gauge of economic activity, for the eurozone was unchanged at 55.7 points in August. The index is on a 100-point scale, with anything above 50 indicating expansion. Though output growth in the third quarter is slightly down on the second quarter, the firm said the single-currency bloc is on course for economic growth of 2.1 per cent this year, its highest since 2007, when the global financial crisis started to bite. The rest of Europe seems to be faring well despite the many issues individual nations are facing yet the UK faces a major uncertainty as to the many questions and doubts raised by Brexit still fills peoples’ minds. You can’t blame everyone involved since they will likely be directly or indirectly affected by all these changes. The UK may have high hopes when they considered the idea of separating from the entire of Europe but their economy is already suffering as early as now. Business confidence is going down with the continued slowing down of the services sector that happens to be driving 80% of the UK’s economy. Only time can tell what is in store for everyone concerned.